The Government will introduce amendments to permit registered voters studying abroad at recognised educational institutions to have the right to vote in absentia, it was announced in this morning’s [Nov 13] Throne Speech. The relevant portion of the Throne Speech said, “The Government, through the Ministry of Home Affairs, will introduce amendments to the Parliamentary Elections Act 1978 to permit all registered voters studying abroad at recognised educational institutions to have the right to vote in absentia. You can view our live blog of the Throne Speech here, and all our coverage of the 2015 Throne Speech here. If it’s such a fundamental right why restrict it to students? Because they are more likely to vote for the OBA. Quite the opposite. This will be challenged as discriminatory. Because students still legally reside in Bermuda. If you pack up and leave Bermuda to reside else where then you are not legally residing in Bermuda. Can I use my race card now? Who would they vote for, where would they vote. If someone has moved overseas, they would have given up their residence, so they wouldn’t have an address or assessment number, they wouldn’t have a constituency to vote in. If they are keeping a residence unoccupied while they are travelling, then they can probably travel back to vote, either in the early poll or on voting day. if there is a medical reason for their travel, I believe special allowances already exist. But students will have a residence here where their vote can be registered to, so there is someone they can legally vote for. Why the stipulation that students have to attend a recognised educational institution? Who defines this? Why not have absentee ballots for all non-resident Bermudians? So which Parish would absentee, non-resident Bermudians be allowed to vote in? This is the sticking point. Or should we just establish an ‘Overseas’ Parish for these voters? In which case, who would run for election in this ‘Parish’? And if this ‘Parish’ then contains 20,000 eligible voters (remember, actual parishes have about 1,100 registered voters), does it still just qualify for 1 voted representative? All non-resident Bermudians? Where would they be registered to vote? They meant, which Parish would they be allowed to vote in, not the manner in how they vote. Remember, under the Bermuda system, you vote for the representatives who are assigned to your Parish. Overseas students still legally reside in a particular Bermuda Parish, so this is an easy one to solve. But which Parish would Bermudian nationals who now live overseas be allowed to vote in? Obviously you can’t let the voter just choose. Nonsense restricting the voting to students. 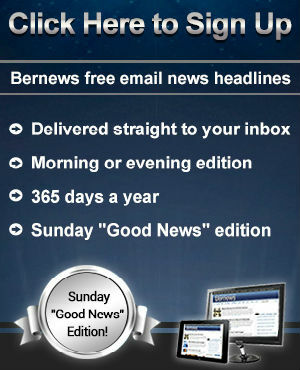 Any Bermudian normally resident should be able to vote online no matter where they are. Because this is still their official residence for students. Bermudians (if not in school) who move overseas are no longer considered a resident. But Americans who dont reside in America get to vote via the post..
And they continue to pay taxes to the USA as well, for their entire lives. Amazing! At this time over 100 comments about crash helmets. Less than 10 on the fundamental right to vote. Where are your prioritys people? your drifting into the triangle, Life is a priority and voting is optional either way..
Why does it matter if the institution is recognised or not..
Lots of students don’t have the funds to travel back here at voting time. If your an adult then hey…come on home and cast your ballot…If you can’t afford it then I don’t need your vote determining my future here. Enjoy your life and ill try to survive mine. But importantly they are still nationals. You can’t disenfranchise them just because they live elsewhere. If someone relocates overseas on a permanent basis they stop contributing to the local economy. They stop paying taxes. They cease to be affected by the votes they might cast. So there is no particular reason why they should be allowed to vote. Students on the other hand have no relocated overseas permanently – they are just in school or college. Where would they vote, if they aren’t residing here, they don’t have an address here, which means they don’t have a constituency to vote in. So who would they get to vote for? Unbelievable, sounds like they are reading from the logs of the late former UBP senator who said rinka dink colleges and universities(recognised educational institutes). The PLP spend their time trying to restrict who can vote. There lies the difference. Students are temporarily overseas and return through the year, so they are considered ordinarily resident here. Emigrants have moved their residence, by definition.